Michael van Heerden, Manager for Seeff Springs and Brakpan, says that these properties offer endless business opportunities to astute entrepreneurs who are not only looking to extend their business footprint in the East Rand, but in the entire Gauteng province for that matter. “The town of Springs has evolved over the years to become one of the major contributors in the provincial economy and the South African economy at large. Van Heerden continues that while Springs is centrally located and has the infrastructure for commercial opportunities to be realised, it still offers good value for money when compared to other towns in the East Rand. “This is especially true for new and developing businesses that need to keep their overheads as low as possible in order to survive the current economic circumstances. Listing and rental prices of similar commercial properties in other East Rand towns can easily cost double as much as what it currently costs in Springs”. Van Heerden says with regard to residential property, Springs has a major shortage in middle class properties that do not need any renovating and are priced below R650 000. The same applies to more expensive property up to R1.2 million. Sought after areas in Springs include affordable suburbs such as Selection Park and Payneville where prices range between R350 000 and R830 000. Suburbs like Petersfield Extension, Selcourt and Presidentsdam are also popular, but any property listed above R1.2 million takes much longer to sell. Van Heerden concludes that Seeff Springs currently has four commercial opportunities for sale. “The first property is an iconic building in Springs currently operating as a hair salon with parking for six cars and within walking distance from other established businesses. The building is well maintained and is licensed with commercial rights. The land size is 495m2 and the building is listed for R1.8 million. The second property has been used as a car dealership and a gas station and still has fuel tanks underground. This opportunity is ideal for any business requiring space and high traffic volumes. The land size is 991m2 and it is located five minutes from the N17 and N12 highways. It is listed for R5 million. This commercial property is currently being used as a beauty salon, a bridal shop and a hair salon. The third property is located on land of 2369m2 and is currently being used as a beauty salon, a bridal shop and a hair salon. The last property is located on 2952 m2. The main building includes a reception area, six offices, a tea room, walk-in strong rooms, workshop areas, switch box rooms and ablution facilities amongst others. Section two of the building includes two offices, one large store room and one lean-to garage. There is also a watchman's room with shower, toilet and basin, a vehicle pit, parking and a wire lock-up storage. This property is listed for R1.5 million. 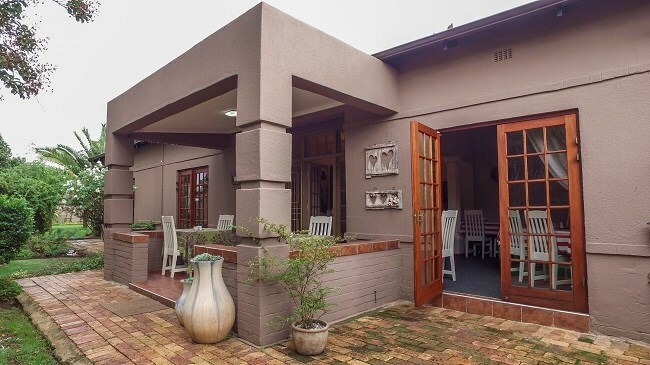 Pretoria properties in suburbs neighbouring commercial developments and older houses on large properties are set to be in demand. Starting a new business and not sure whether to lease or buy your business premises? Find out the pros and cons of each option here.